If you're interested in cruises from Boston to Europe, you'll find only one . . . but it's the European cruise of a lifetime. 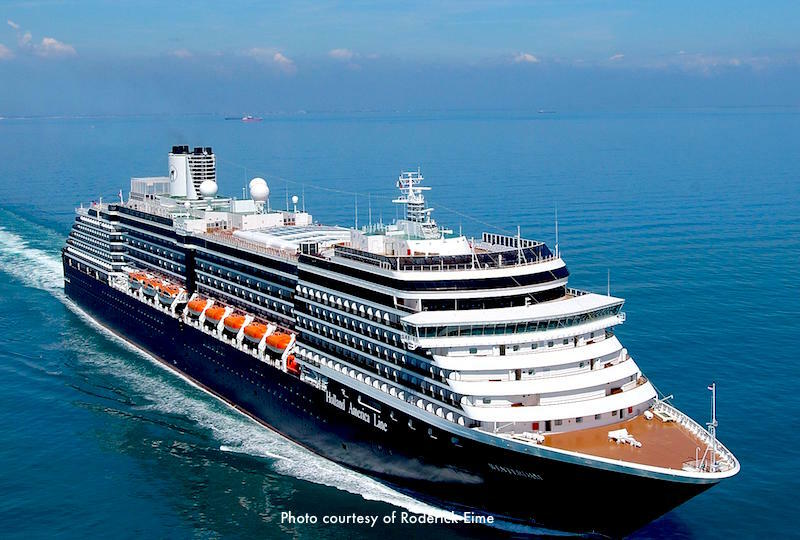 Once a year, beginning in July, a luxury cruise liner from Holland America's top-of-the-line fleet (usually the Rotterdam or Veendam) embarks on a very special Transatlantic "Voyage of the Vikings" cruise from Boston to Europe, and then back to Boston. What makes this Boston-to-Europe cruise special is that it follows the path that Viking ships may have taken on their expeditions to the New World hundreds of years before Christopher Columbus made his 1492 voyage. Unlike the Vikings, you'll be traveling on the equivalent of a floating luxury hotel, dining on wonderful cuisine, and enjoying plenty of entertainment and recreation. Although the route and final European destination for this cruise varies a bit each year (which means you can take it more than once and see new places), this map shows a typical itinerary. As you can see, you'll make lots of Port of Call stops on your way to Europe, with different destinations on the return back to Boston. The frequent stops along the way let you visit scenic villages and sophisticated cities, plus you'll see spectacular scenery as you cruise through fjords and channels past sights not visible from land. Sign on for fascinating shore excursions, or explore on your own - the choice is yours. Choose the round-trip Boston - Europe - Boston cruise to enjoy all 38 days! 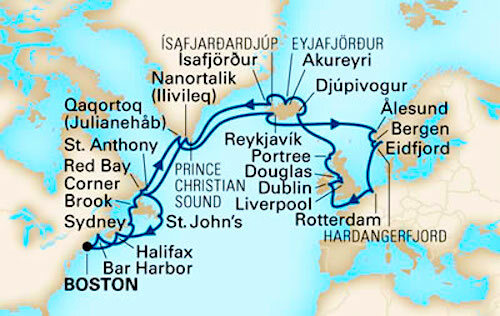 Whether you choose to cruise from Boston to Europe, Europe to Boston, or do a round trip voyage, you'll see and visit an exciting mix of major cities, villages, and scenic locations along the New England coast, several Canadian provinces including Nova Scotia, New Brunswick, Newfoundland, and Labrador, Iceland, Greenland, Ireland, Northern Ireland, Norway, and The Netherlands. Although Reykjavik is the capital of Iceland, it is relaxed and laid back compared with other European capitals, despite its reputation for an exciting nightlife. Located almost at the edge of the Arctic Circle, the city enjoys almost non-stop light throughout most of the night during the summer, so the Path of the Vikings cruise arrives at the perfect time for enjoying the sunlight. The combination of mountains and water make every Reykjavik view a gorgeous one. 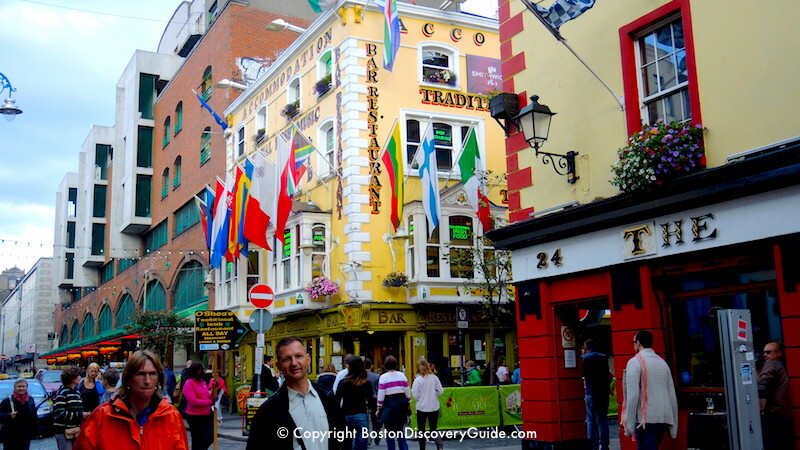 You'll enjoy walking around the compact city, sampling the shops and perhaps a cafe or pub as well. Since you'll be there overnight, you can experience the nightlife if you're so inclined. Your cruise may also make a Port of Call at one of Iceland's smaller villages such as Djupivogur, where you'll get a glimpse of a whole different way of life. Traders set up camp in Djupivogur as early as 1589. You can visit an 18th century house, now a museum, or enjoy nature walks, boat trips, and breath-taking scenery. Mount Bulandstindur, believed to have mystical powers, dominates the landscape. Amsterdam or Rotterdam may be the European destination of your Voyage of the Vikings cruise. Both cities, located about 30 miles apart, feature beautiful canals, historic sections filled with mellow brick and stone buildings, numerous museums, bookstores, bicycles, and cafes, and are among the most charming cities in Europe. Amsterdam's most famous museum is Rijksmuseum, where you should head straight for the Rembrandts, and the Van Gogh Museum runs a close second. Flower lovers should visit Bloemenmarkt, the world's only floating flower market where several houseboats display stunning tulips. 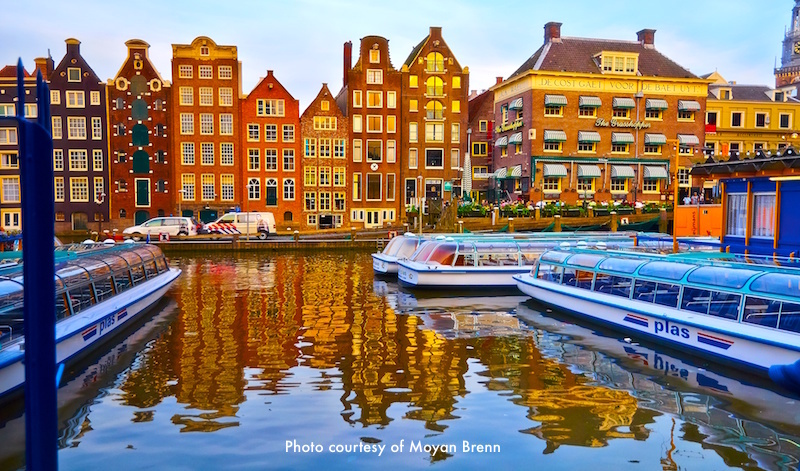 Save an hour at the end of the day for a canal cruise - the best way to see this water-laced city. Rotterdam's "must-see" attractions include vintage ships at the Maritime Museum, 360-degree views from atop the Euromast building (the tallest in Rotterdam), and soaring modern architecture in sections of the city destroyed by German Nazi bombs during World War II. Visit the 17th century Delfshaven neighborhood to enjoy canal-side boutiques and visit the "Pilgrim Father's Church," departure point for English Separatists who sailed to America on the Mayflower in 1620. 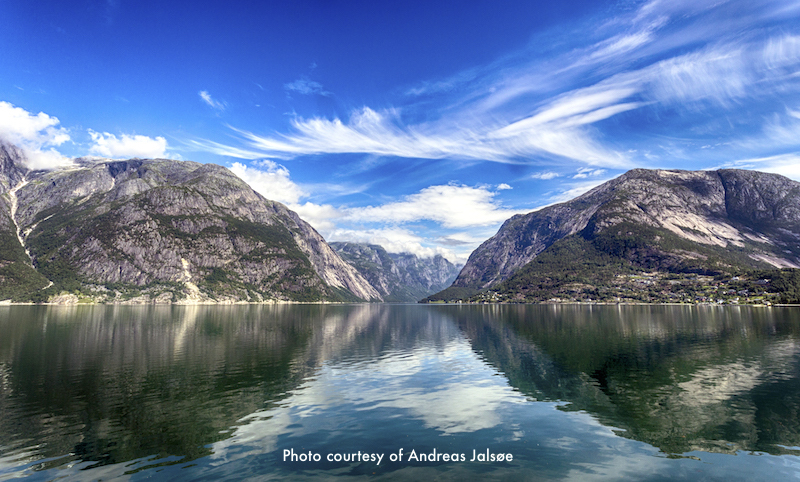 With soaring mountains, sky blue skies, and gorgeous fjords, Norway is a country you'll enjoy for the scenery alone. As an added plus, though, you may have a Port of Call in Bergen, founded in 1070 and the second largest city in Norway. Bergen is located on the western coast amid seven mountains but thanks to the Gulf Stream, it is relatively warm and rainy. Weather should be pleasant, although perhaps wet, during your cruise from Boston to Europe. You can explore the wharf area, the many museums surrounding an ornamental lake near the wharf, and art galleries, all an easy walk from the cruiseport in this picturesque small city. Bergen is also home to renowned musical groups ranging from the Bergen Philharmonic Orchestra to rock groups dubbed the "Bergen Wave," along with numerous bands and marching groups. 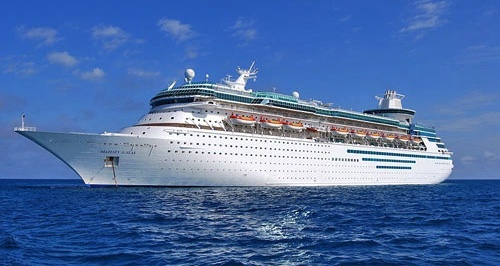 Cruises already give you a great deal - the cost per day (or night) is usually MUCH less than you'd spend on a hotel . . . plus you get meals, entertainment, spectacular scenery, and the chance to visit lots of interesting places. But cruise deals and discounts make this picture even more interesting! You'll typically get the best cheap cruise deals if you book early (4-6 months before departure) or late (few weeks before departure), but you can almost always find great deals and discounts at almost any time if you know where to look. The easiest place to find the best cruise deals, discounts, and specials all in one place is on Expedia's Top Deals page (click on Cruises). They show you the best savings on each Cruise Line. Holland America is considered a 5-star, top luxury cruise line. When you experience the white-glove service and splendid amenities on the elegant Rotterdam and Veendam, you'll understand why. The crew makes sure that your on-board experience during the cruise from Boston to Europe is as close to perfect as possible. In the formal and casual dining areas, you'll enjoy an extensive list of excellent wines, gourmet cuisine, and elegant table linens, crystal, and china. Formal nights give you the chance to get dressed up; casual dining options mean you don't have to if this is not your thing! Excellent recreational facilities, top-flight entertainment, and enrichment opportunities such as digital photography and cooking classes ensure that you'll have plenty to do on your days at sea. Welcoming common areas give you lots of places to hang out, socialize, and relax. Even the regular staterooms provide more space than on most other cruise ships. 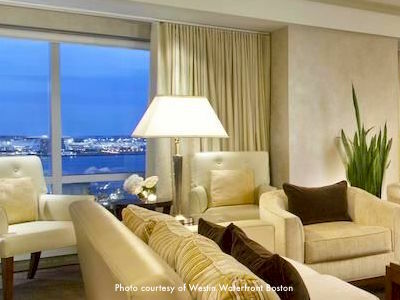 And suites are roomier than many Boston apartments. Although the Voyage of the Vikings cruise occurs in July and August, you'll visit places that range from hot and humid to chilly and windy. Plus, you might encounter rain at almost any of the Ports of Call at this time of the year, including Boston. This wide range of climate conditions poses packing challenges. Your best strategy is to bring items to layer, such as sweaters and jackets, that you can put on or take off as needed. A waterproof jacket and hat or umbrella can be a plus. Insect repellent may be useful if you're exploring along the Canadian coast and encounter the scourge of our late-summer months: black flies. Pack sunscreen and sunblock too. Be sure to bring comfortable walking shoes, as well as thick socks to provide cushioning. 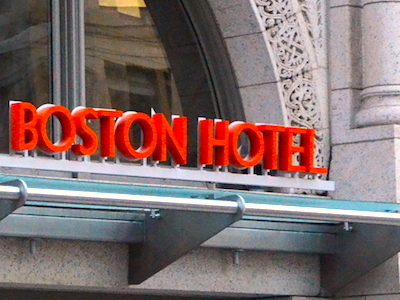 Some of the places you'll visit (including Boston) have cobblestone streets. Remember to pack at least one dressier outfit for the ship's formal nights. Guys, a jacket and tie will be fine. Gals, this is your chance to dress up if you want . . . otherwise, just pack something black along with a nice scarf or pashmina shawl. 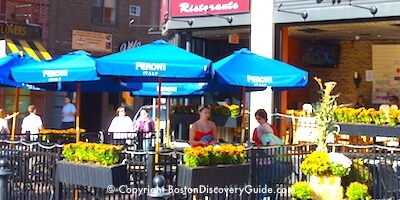 Where is the best place to stay near Boston's CruisePort?